Lovingly referred to as the "mini UN" the Hudson Yacht Group team is as diverse as it is dynamic. 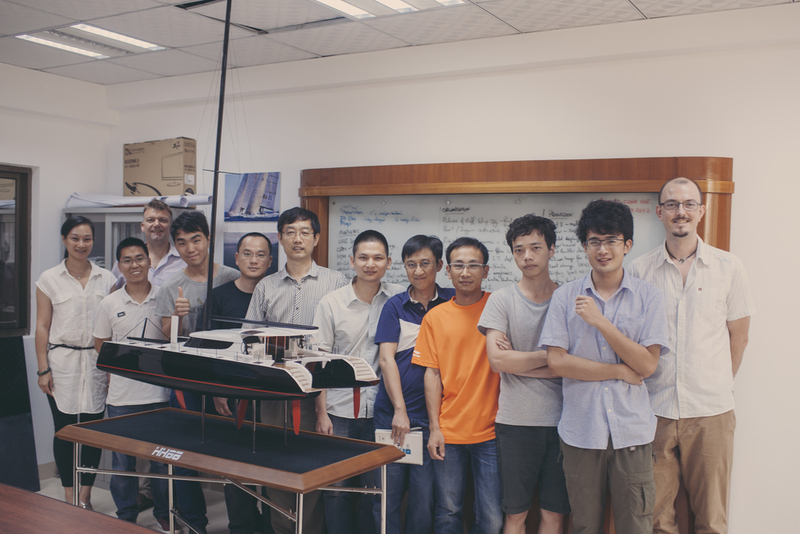 With project managers, naval architects, boat builders, engineers and sales and marketing professionals from around the world, we are a cohesive team who work towards a common goal: producing the world's best boats for the world's happiest clients. Paul joined forces with Hudson in 2012. He brings a wealth of experience to the operation along with a great reputation for being one of the world's leading race boat builders. His boats are known internationally for their excellence and performance. Paul is now the President of Hudson Yacht & Marine; he heads the development of the high performance sailing division and oversees all production. Headed by Wesley Liu, Warren Muir and James Hakes, HYG’s design and engineering team is one of the world’s largest luxury yacht development teams. The team takes great pride in its work and in its ability to operate seamlessly in two languages and cultures. The design and engineering professionals at HYG know the importance of clear, concise drawings that are clearly understood on the shop floor and beyond. HYG has assembled a team of seasoned professionals from around the globe to build create a talented team of project managers and craftsmen. Hailing from four continents, and led by veteran boatbuilder Jan Rossa and Riccardo Marton, the production team members are fully dedicated to building yachts with professionalism and integrity. Every step of the process is carefully managed and communicated by our excellent project management team. Processes and details are checked and rechecked to insure HYG’s highest standards are maintained. Led by Dan Sammis in the US and Scarlett Li and Renee Lin in China, the HYG Sales and Marketing team is another truly international force. Marketing and PR specialists from Taiwan, China, the UK and the US, as well as a strong network of brokers worldwide, round out the team. Our knowledgeable, experienced team is driven to always put the needs of our customers first - ensuring that your buying and ownership experience with HYG is straight forward, fun and stress free. HYG's team of international service professionals are available around the globe, around the clock. The SWAT (Service Worldwide Anytime Team) is comprised of Captain Chris Bailet, Captain Thomas Jonnson, boatbuilder extraordinaire Riccardo Marton, electrician Carlos Van Camp, and customer service/concierge Lauren Battaile. Any member of this at-large team can be deployed at a moment's notice to assist our clients anywhere in the world.